I love candied orange peel, but I know some of you are not big fans. 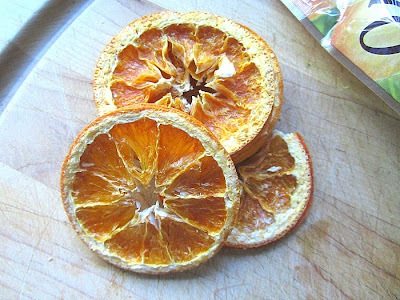 Sometimes I make my own (when I have a ton of oranges), but recently I found a bag of organic dried oranges at TJ Maxx!!! (Home Goods has them too). Nothing in them except dehydrated orange slices. 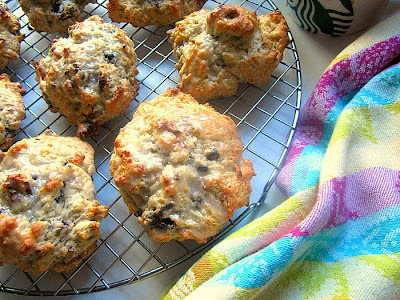 I have been snacking on them and decided to bake some scones with them too. Along with their figgie friends, this combination was delicious! I adapted this recipe from King Arthur Flour, but did not add in the almonds. I am sure nuts would be a welcome addition. It's fall, time to start baking again. Scones are best baked the day you are going to eat them, preferably for breakfast, warm out of the oven! Whisk together the flour, sugar, salt and baking powder. Using your hands or a fork, work in the butter just until the mixture is unevenly crumbly. Stir in the figs and orange zest. In a separate bowl, whisk together the eggs, vanilla, and half & half. Add the liquid ingredients to the dry ingredients, and mix together until a sticky batter form. Drop heaping spoonfuls of batter onto a baking sheet lined with parchment paper. I love how my hydrangeas look when September rolls around. Bake the scones for about 20 to 24 minutes at 375F, until they're golden brown. Remove from the oven, and cool briefly on the pan. Make an icing glaze with a cup of confectioners sugar mixed with a tsp of milk. 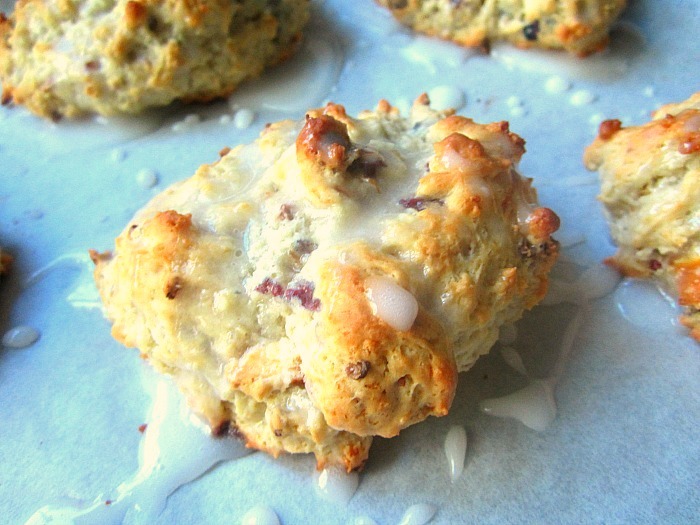 Mix with a fork and drizzle on the warm scones. Wrap completely cooled scones airtight, and store at room temperature for a couple of days. Freeze for longer storage. I also love how hydrangeas turn all kinds of hard-to-name, drained & bruised colors in the fall. So much more interesting than summer's primary colors. However, I was a bit confused by your photo - it looks like you are going to bake your scones in the bush! 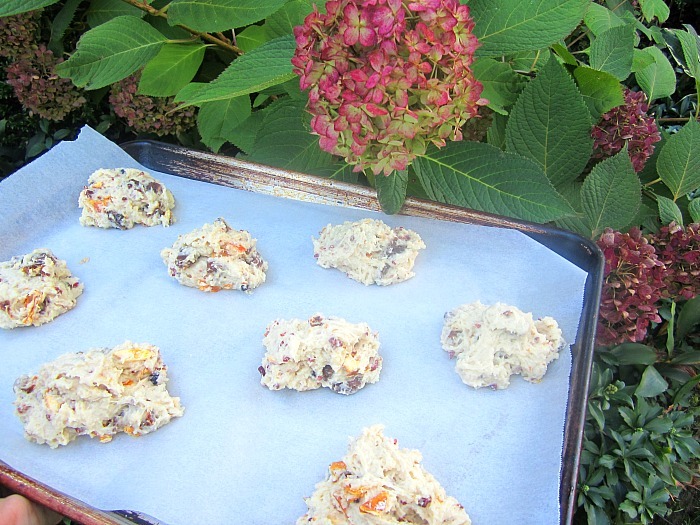 Scones look delicious - I love the chewy, vibrant fruit jerky note citrus rind adds to baked goods. Funny, I rarely go into Home Goods, but I was there yesterday and saw those oranges. This is a recipe I'll be making, but I'll wait until fresh figs are out of season and I have to rely only on the dried ones. Ha ha, I was thinking of going to Home Goods today, I'll be on the lookout for those oranges, I hope they have them here! Your scones sound great! Any thoughts on the best way to dry your own figs? I have an abundance of them right now. I love TJ Max... great browsing! We are one of the few people I know that have blue hydrangeas - and I love them! Next to summer's daisies, they are my favorite! Your scones look delicious. I'm going to head out to TJMaxx to find the orange peels - hopefully I'll be successful in finding them. I've made scones before, never quite successfully, but will try again. 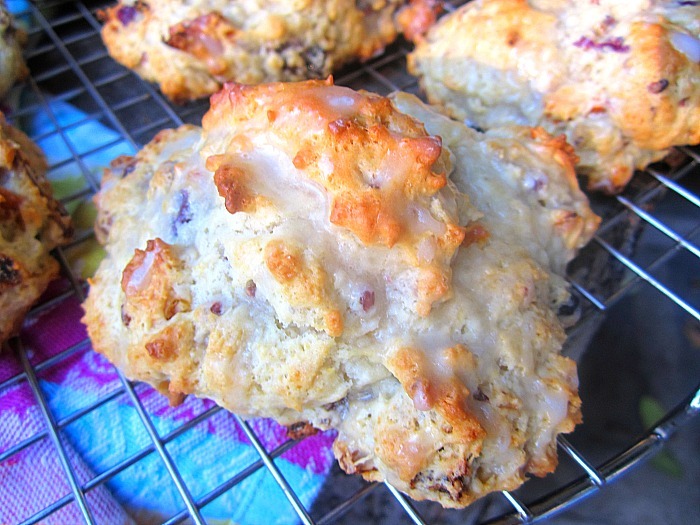 Figs & dried orange peel scones sound delicious - a nice combo of citrus and sweetness.